Sony's new LCD projectors are packing enough lumens for you to OD on. We're talking 4,000 lumens of brightness here, trumping even Panasonic's new PT-AE1000U. 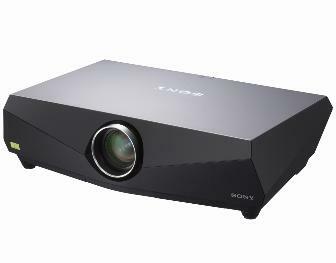 The projectors use Sony's BrightEra technology to ensure that more of your image ends up on screen despite the time of day. One complaint, although they're business projectors, we wish both models packed higher resolutions. The FE40 comes in at 1,400x1,050 while the FX40 maxes out at 1,024 x 768. Our Wall Street friends don't need super-powered beasts to run their presentations, but a little more wouldn't hurt. Personally I would just go with the Sony Pearl. For only $5,000 you get full 1080p resolution and a very capable machine. If you can't control the light in your room though, these two will have you covered with their monster light output. We say just close the blinds. The projectors will run you $7,950 for the FE40 and $6,150 for the FX40. They'll be out in December and January respectively.